The Center of Regenerative Medicine in Barcelona (CMR[B]) was founded in 2004 by virtue of an agreement between the Health Department of the Catalonian Government and the Carlos III Health Institute (ISCIII) of the Spanish Ministry of Science and Innovation. The fundamental mission of CMR[B] is to advance the implementation of regenerative medicine strategies by conducting research of excellence on the generation of pluripotent stem cells and on the mechanisms that control their differentiation toward clinically relevant cell types. 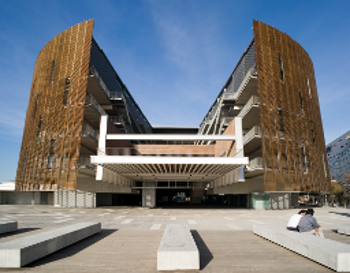 CMR[B] is located in the Barcelona Biomedical Research Park (PRBB), which hosts seven centers of scientific excellence devoted to study the most relevant questions in contemporary life sciences and biomedicine, from the molecular to the population perspective. PRBB hosts more than 1400 researchers and provides infrastructure and facilities to the centers located within. CMR[B] is composed of a Research Center, which carries out basic and translational projects on regenerative medicine research, Core Facilities equipped with highly sophisticated technologies and expert staff, and the Stem Cell Bank (BLC). An Ethics Review Board (CEIC) provides support to researchers on project documentation and reviews all applications involving pluripotent stem cell research. The Stem Cell Bank (BLC) is a functional unit of the CMR[B] dedicated to the storage and banking of human ESCs and iPSCs. It works as a node of the Spanish National Bank of Cell Lines (BNLC). The Stem Cell Bank mission is the production, test, banking and release of research grade pluripotent stem cell lines to all researchers that hold an approved project on stem cells.